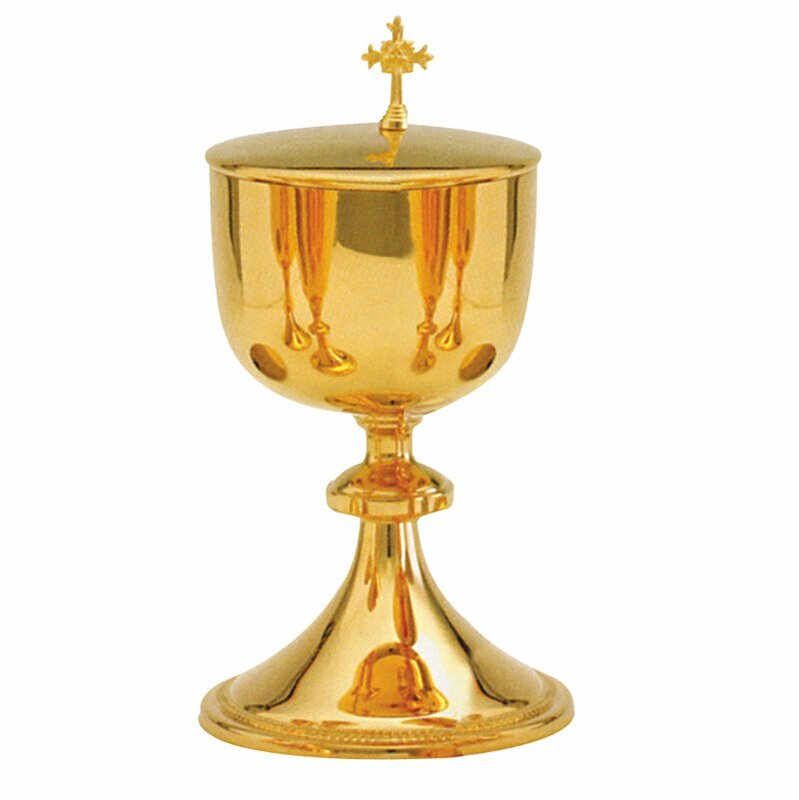 This intricate ciborium features a beaded trim design in the base and is finished in 24kt gold plate. Cover features an ornate cross on the top. Perfect for any altar or special service. Holds 300 hosts. Design also available as a Chalice and Well Paten (item# 60036).